Rt Hon Sir Oliver Heald QC MP has praised the ‘vital role’ that Aggregate Industries’ Hertford Express Asphalt Plant has played in helping to improve and maintain the local road network. 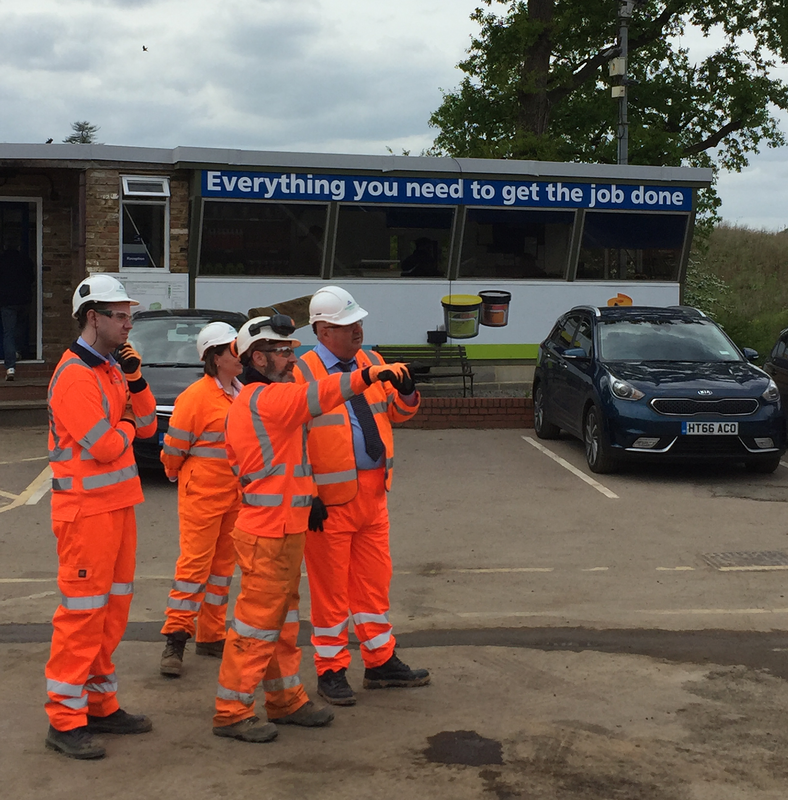 Sir Oliver, who has been MP for North East Hertfordshire since 1997, visited the site in Bayfordbury on Friday to meet the asphalt production team and learn more about the company’s pioneering Express Asphalt service. Designed to make the process of asphalt supply much simpler and quicker, the offering includes a ‘click and collect’ service with a guaranteed turnaround of 30 minutes for single loads of standard products, which enables busy customers to order asphalt, or tools and equipment, and pick it up from any one of the business’ 41 Express Asphalt depots nationwide. The highly-successful visit also involved an engaging discussion between Sir Oliver and key Aggregate Industries’ staff such as Gary Walsh, Express Asphalt South East Area Manager, on important issues including Hertfordshire's waste plan and the leading building materials supplier’s recent work on the region’s road infrastructure.